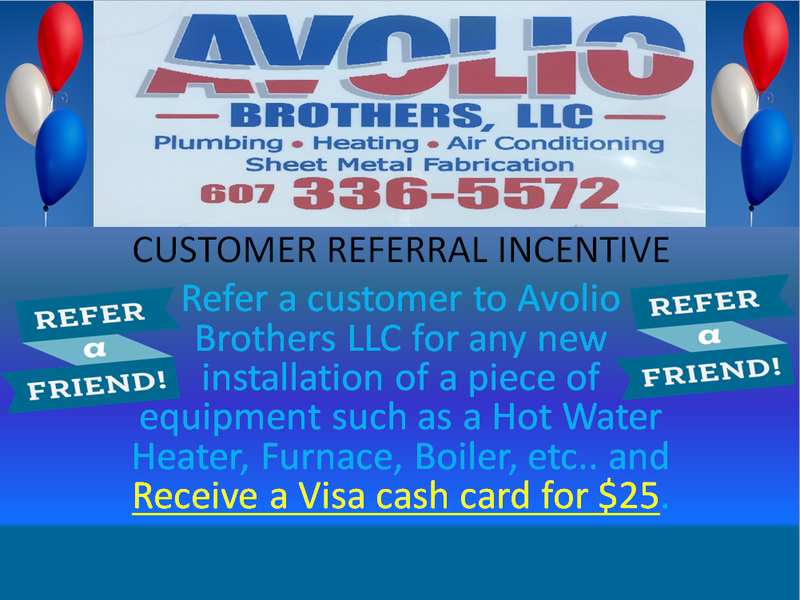 For Quality Plumbing and HVAC services, call Avolio Brothers Today! Are you experiencing household plumbing issues? You never want to put off a plumbing issue, because the damages could be much more costly once the problem gets worse. Something as small as a simple leak can turn into a huge household mess, affecting you, your family and your neighbors. While some homeowners are savvy with plumbing work, most leave it to the experts - like all of us here at Avolio Brothers, LLC! If you are experiencing a plumbing problem, large or small, contact us at 607-336-5572 today. We'll be there to guide you throughout the whole process and ensure you and your home are safe. Do you want to beat the heat? With temperatures rising, it's beginning to get sticky and uncomfortable in some homes. When you go to flip that air conditioning switch, you want to feel the cool breeze immediately, right? If your HVAC unit has been sitting untouched for a while, chances are you need a quick check up. At Avolio Brothers, LLC, we are dedicated to making sure your house is completely taken care of in all seasons. Give us a call today to make sure your heating and AC units are ready to go, no matter how hot it gets. 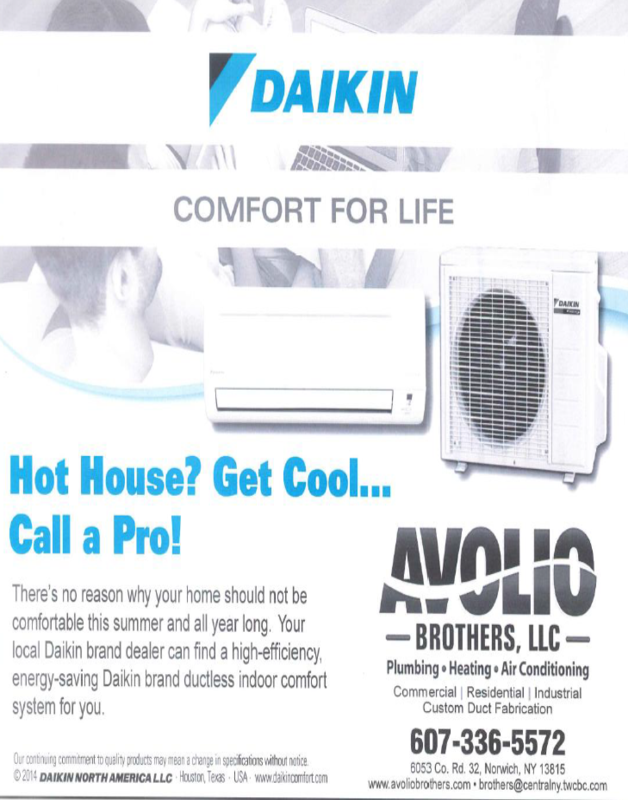 At Avolio Brothers, LLC of Norwich, NY, and Oneonta, NY, we have what it takes to handle all jobs, big or small. Whether you are looking for full plumbing services, a minor HVAC fix or a major AC overhaul, our experts will be there for you. If you're a business seeking a dedicated contractor to assist you as you grow your business, you've found the right company. If you're an individual looking for a quality contractor to keep your house in the best possible shape, you've found the right company, too. For more information, or to request services, contact us at 607-336-5572 today. You can also contact us through our form on the Contact Us page. In recognition of all those who served or currently serve in the Armed Forces, Energy Kinetics provides a $250 rebate to those enlisted, their spouses, or those who are discharged.